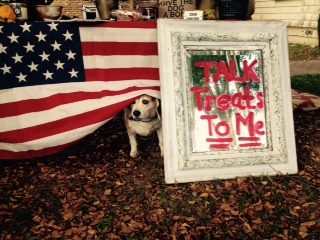 Below you'll find Talk Treats To Me nutritional information and our recommended feeding instructions. When considering a treat for your pet we want to make sure you know to evaluate pet treats and foods products for their safety and nutritional value. 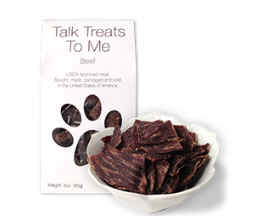 You may already be aware about the raising concerns in the pet jerky and treat products that include meats from China. Unfortunately many of the products made in China are not only less healthy for your pets, they can be dangerous with and without, dietary and allergy issues. 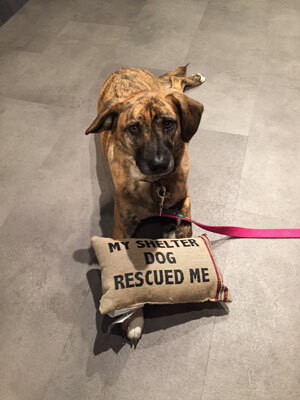 Sadly pet deaths have occurred within frighteningly short time periods. 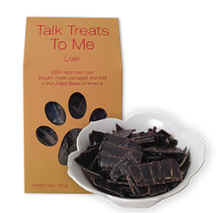 At Talk Treats To Me we believe that these appalling industry practices are important for people to know who want to take the best care of their pets possible. That is why we are here after all. 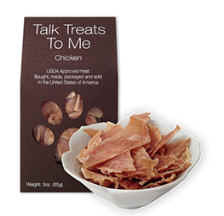 - Are made from premium quality USDA approved meats. - Are made, packaged and sold in the United States. - Considered raw by Veterinarians. - Contain no artificial colors. - Contain no fillers of any kind. - Are fit for human consumption. - Are dehydrated and never baked. - Stay fresh for up to 1 year. 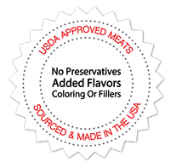 To ensure proper nutrition and your pet's safety, all our meats are USDA approved. Our 3 oz. treats, start out as a pound of meat and dehydrate down to 3 oz. For this reason we suggest that people adhere to the recommended amount on the package. Due to the acids in the dogs stomach, it will expand to it’s original size. Keep it out of reach of your pets, dogs and cats alike.